We don't just like the Arctic. We LOVE it. Every time we run a tour up north we fly in for a few weeks and it's all work work work and we never get to spend enough time with the people we really care about. This year we made a new plan, to work on a special secret project for a few months and simply enjoy the frozen winter. 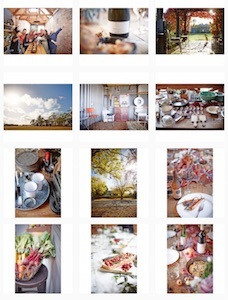 So we stayed for three months and ran a tour and spent lots of time photographing a new project. I've been amazingly lucky to spend a lot of time in Bhutan in recent years, and this trip was something really special. I had to keep quiet about it at the time, but can now share the love for a special project with Lumix to launch their new S1 camera system. 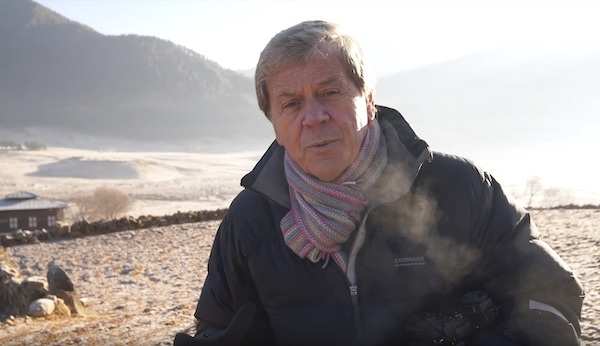 I took Ray Martin on a trip across Bhutan to capture the culture and charms with the new S1R. See the video and find out what Ray thinks of the S1R. Nepal is one of the most rewarding places in the world for photography, and we had a great band of travellers along for this journey into the mountains. We mostly get around my jeeps and vans, but sometimes go for a bit of a walk up a hill to chase great views. We don't trek and hike though. It's a trip full of wonderful culture, beautiful faces and yummy food. This month I launched a new hub for my photography, the Bird Nerd page. 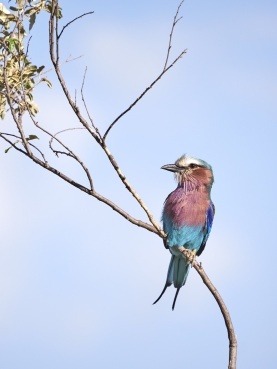 It's just a collection of links to my bird related photo essays, avarian features and the new Kenya Bird & Wildlife Tour. I've done a lot of lovely bird photography recently and hope to do a lot more in future. Years in the planning but only 6 days in execution. 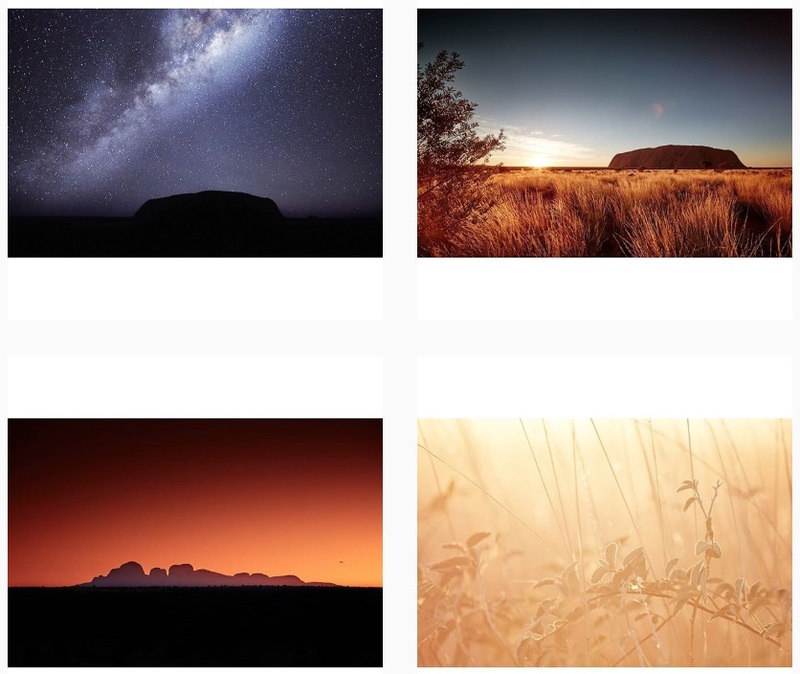 We ran our Uluru Masterclass, with Ian Rolfe, and spent a week in one of our greatest national parks shooting from dawn to dusk, and sometimes well into the night. Was excited to shoot the star trails above Uluru and have the joy of capturing so many wonderful landscapes and wildlife. A great group of people and a wonderful experience. Still the best photo tour in the world. Private plane hopping across the Australian Outback, amazing landscapes and destinations on the ground, immense wildlife and cultural experiences. I am privileged that I get to run this adventure every year, and make it just that little bit better every year. 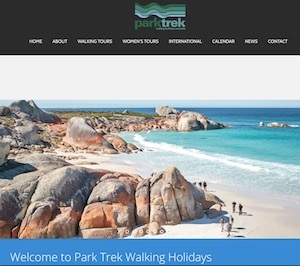 Yeah I'm not normally known for my trekking abilities, but the great thing with ParkTrek is that their walks are acheivable and their guides are great. You get a comfy place to stay each night and then drive to the start and finish of some amazing trails across Tasmania. This was a great gig and they're great people. We have some great scenes to shoot in Victoria. We also have some seriously big kangaroos that will make a mess of your car at 100k/h. April was not my best month of the year to be honest, between the car crash on the road and the car crash behind the scenes with one of my clients. We make it look pretty and lovely in the pics, but you have no idea what mayhem goes on to make the magic happen. I will be rethinking my client list at this point, and look towards more professional people to work with. Every time we head to the Arctic it just gets better and better. This year we returned to Norway and were treated to an amazing run of great weather. Sunshine all day and clear skies all night. Those Auroras were often timely, allowing us to shoot early and get some sleep. Later in the trip we had just the right blend of moonlight and northern lights. There's no better time to photograph in the Himalayas than winter. Clear skies, sunshine and cool sunny days. 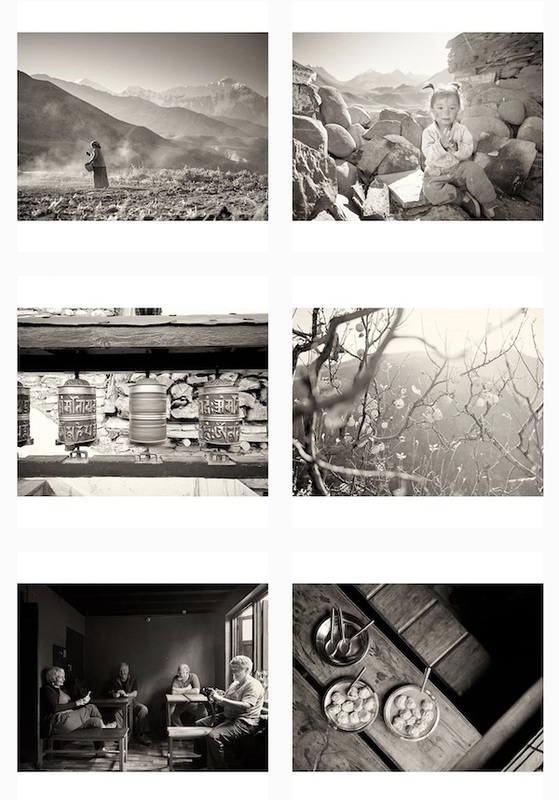 This January we did a luxury hotel shoot across the western regions of Bhutan, taking in fine dining, fine accommodation and simply magnificent views of the Bhutanese landscape. There's only one thing that could possibly make our travels in Bhutan better than they already are, and that's a really fine group of people. 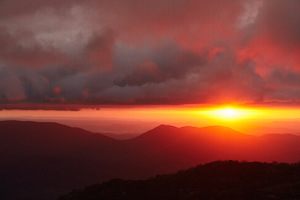 I have the most amazing people on the ground in Bhutan, great places to stay and amazing photographic moments. This trip we had what could possibily the loveliest group of people to join us too. It's a tough call, we get a lot of great people on these journeys. This is a wonderful piece of Australian landscape, offering unique terrain to inspire photographers. We run this workshop once every two years, throwing a few new twists into it each time. This year we had some amazing air time for our guests, to offer a unique and beautiful contrast to our photography on the ground. 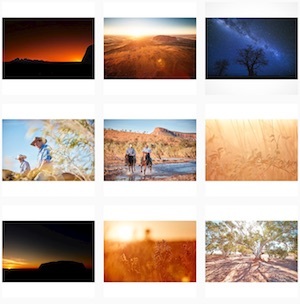 Every year I head into the Outback with a lovely bunch of people in search of iconic Australian scenery. By day and by night. We capture the Milky Way, trace stars across the night sky and await the first rays of light in the morning. This year we went really heavy on Uluru, thanks to some very helpful folks at Parks, and did a little more helicopter time than usual as well. A great trip and we came hom ewith bags of great photos. Snow. Kanelbulle. Reindeer. Sami People. Jokkmokk Winter Market. Auroras. Amazing. Bhutan is one of my favourite places to visit each year, if not my acutal favourite. Sometimes it's the landscapes, sometimes the festivals. This year the portraits were a really big focus for me. I had a lovely group of photographers for the journey, including the company of Bruce Percy who was shooting on film and dedicating his efforts on a series of elegant and deeply connected portraits of the locals. Luang Prabang is one of those places you hope never changes. For the most part, the town has kept it's charms and scale for the last decade. It was a treasure to see that this part of Laos is still just as gorgeous and classy as it always has been. This was my first trip back to Nepal since the earthquake of 2015. It was wonderful to see our crew again, and to see for my own eyes that Nepal has coped well since the quake. I was worried there would be widespread damage, but the reality is that only some areas were affected. Most of Nepal is just fine and ready to welcome travellers. We took the new Lumix GX85 to New York and fell in love with the beauty of Black and White once more. 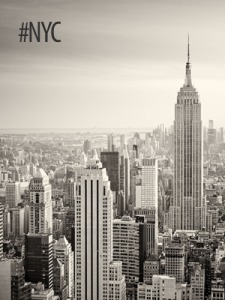 Some cities just sing in the reduced palette of grey tones, and New York comes to life with people and tones. It's heaven for photographers. Iceland treated us to a spectacular showing of colour and light this year. Some journeys help to remind me that I am lucky to have experienced the travel and inspiration in my life that I have. Never take anything for granted. 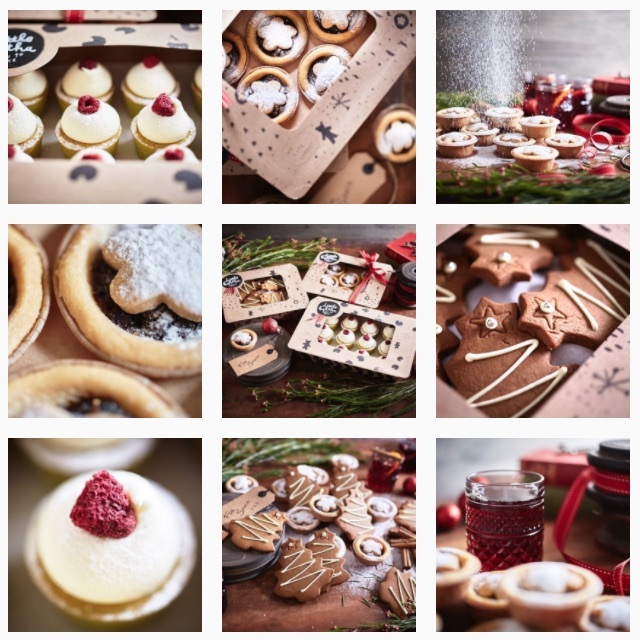 What seemed like a straight forward studio shoot turned into an epic marathon of photography and styling, as a shoot list of 30+ recipes turned into a triple play with over 90 shot designs by the time we wrapped the job. I've never seen so much cake, slice and edible flowers in my entire life. Big thanks to the gents at Little Bertha for being so great to deal with, and for being so good at what you do too! You never know how it's going to work out when you team up with a new writer you haven't met before, but Michael Harden turned out to be excellent company as we tumbled from one ridiculous scenario to another across the islands of Fiji. At the beginning this story was looking like a shipwreck, but it all came good in the end thanks to a couple of great properties, a handful of marvellous chefs and one whole day of sunshine. 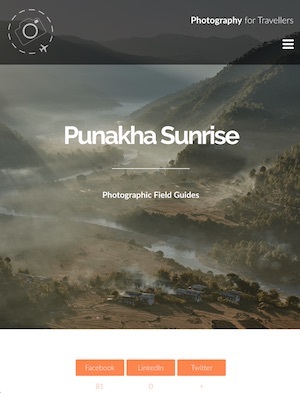 I honestly regard this adventure as the best photo tour in the world. Stunning landscapes across this great country, magnificent locations for photographers, a great team behidn the scenes making the magic happens, and that amazing twin turbo-prop that cruises at 28,000ft but still lands on a cattle ranch. Come fly with me! 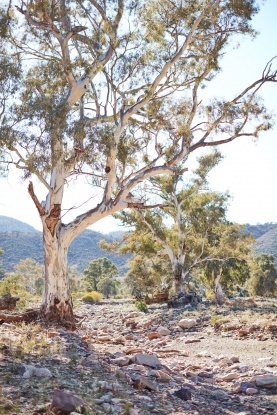 This is the real Australia, a dry country with undisturbed views of the horizon and bold red wines that taste like they've been carved out of the landscape. Rutherglen is rich in character. 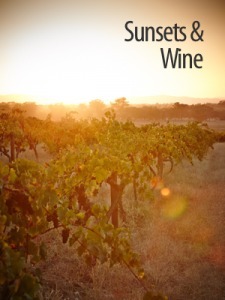 Some truly fine wines live here, plus a few great eats. The landscape is golden except for the vines and river gums. Rutherglen is a real gem and gets better every year. 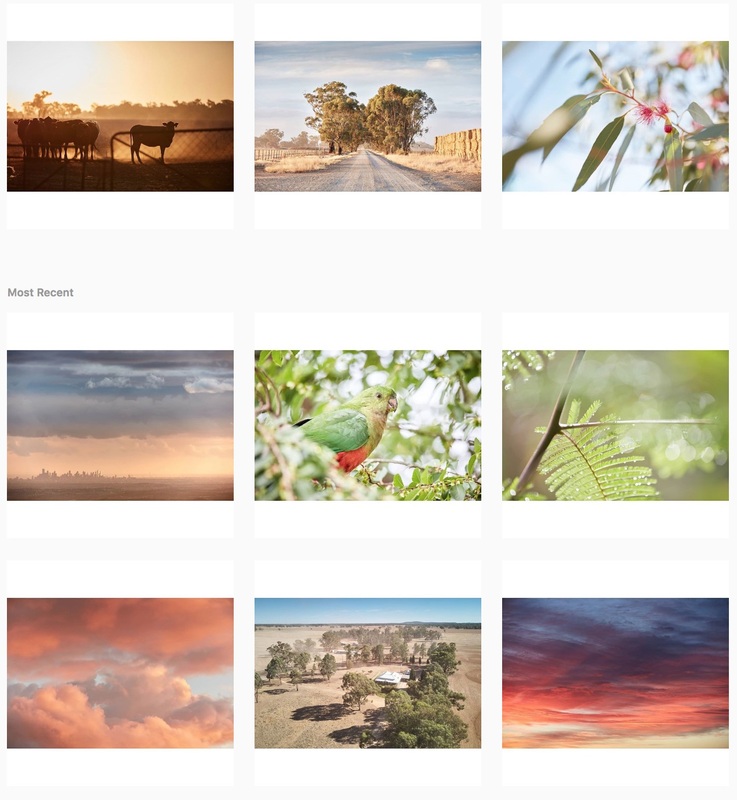 Autumn is my favourite time of year to be out shooting, and this year we ended up doing a handful of really lovely shoots in Northeast Victoria including the region of Glenrowan and nearby Winton Wetlands. These are deeply under appreciated regions, with some stunning photographic inspiration and some fabulous food and wine on offer. Taminick Cellars was our home for a week, a cute little farmhouse surrounded by vines and a mob of kangaroos. We reccommend staying there if you need a base for exploring the region. This was one the most bespoke journeys I've ever made in Bhutan, an adventure into remote parts of the country and delving deep into the beautiful Druk culture. We watch Black-necked cranes fly over our heads, rafted down the Mo Chu River and camped high above the Tigers Nest. It was spectacular. Big thanks to Ian Rolfe for being a part of this amazing sojourn. 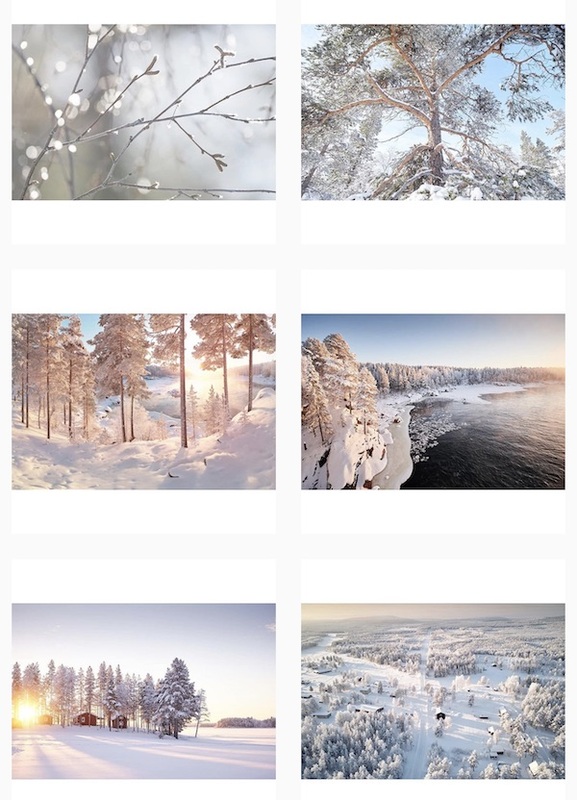 The Swedish Arctic in Winter is an amazing place. Powder snow lays across the landscape, turning the trees white and blanketing the streams and lakes. Snow mobiles are one way to get around, as are sleigh dogs and reindeer. THis trip was to prepare for a unique adventure in 2017 and to write a feature story on the unique characters who have made a home in the Arctic. I love this place. 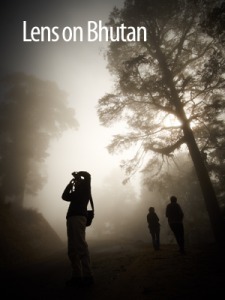 Every year I travel to Bhutan and each year I look for a new perspective on the experience. This year it was the Lumix GM5, a radically small camera body that fits into the Micro Four Thirds (MFT) system. This was the ultimate test of scale for me, the exact opposite of my usual full frame DSLR experience. The camera performed superbly, backed up with some excellent lenses, and I came home with a host of beautiful images. If size really matters to you, then this little puppy is worth a closer look. Full review of the GM5 is on my Photography for Travellers website. Tonga and Rarotonga are two different worlds. The Cook Islands are organised, convenient and full of opportunity for even the least experienced traveller. Tonga by comparison is rough as a cocnut husk but still offers some sweet pleasures if you exercise a little patience. The Cook Islands is my favourite of the two, and while the main island of Rarotonga is a little short on sandy beaches, the nearby Aitutaki and it's brilliant blue lagoon is exceptional and worth the trip alone. Big thanks to Ian Rolfe for sharing his insights and highlights of King Island with me this month. I met a lot of lovely people and pretty places, an inspiring gem in the middle of the Bass Straits. Even in the depths of winter I found the island charming and full of warmth, so much so that I wrote a feature for some Chinese in flight magazines :) My favourite local treat on King Island is the panko crumbed deep fried brie, served with quince paste. 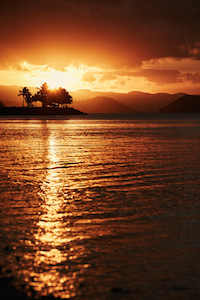 What better expression of the indulgence and abundance of this island! 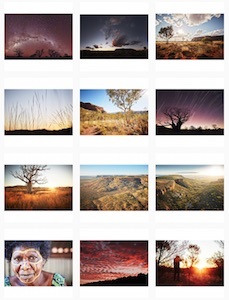 June always gets off to a flying start with my two week photo tour across the Australian Outback in a private plane. It's the most incredible photo tour in the world, I can't believe I get to run this every year. 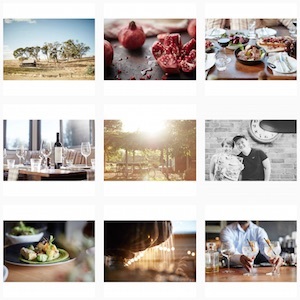 June held other treats this year with a hunt for truffles in country Victoria, my first feature in National Geographic Traveller and a one off workshop with Ian Rolfe and Iron Chef Shellie to share our love of food photography. Induglent and beautiful. 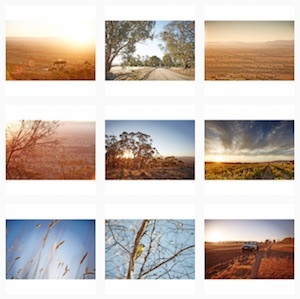 I'm truly proud to have a collection of my images backing the new promotion by Australia's North West. It's one of the most unique parts of the world, an incredible landscape that attracts some remarkable people. There's nothing ordinary about the region, from the Kimberley Coast to the crazy domes of Purnululu National Park. I've been lucky to see so much of it in recent years. Now you have a chance to win a free trip to see for yourself. My first trip to Iceland was amazing. 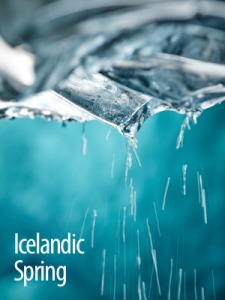 I had a fantastic guide, some interesting weather to contend with and daily inspiration from the landscapes and skies of Iceland. It's a tough country to run a tour because the distances are much greater than other photographic journeys. The effort is rewarded with blue glaciers on the beach, crazy horses in the snow and lots of winter colours. 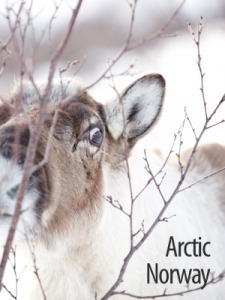 Reindeer and snow are just some of the highlights when travelling the Scandinavian Arctic. The northern lights are something totally unique and frankly are worth the journey alone. In winter the nights are long and you get more opportunity to see them. 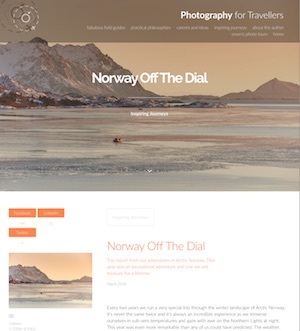 I wrote a detailed guide for photographers seeking to chase the Aurora Borealis. 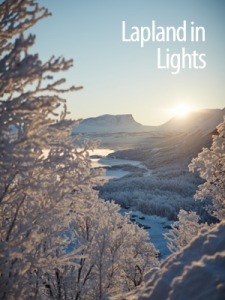 It's long and detailed and makes very little mention of reindeer :) If you want to experience somethign truly wonderful then I can recommend the Aurora Safri Camp near Lulea, the Jokkmokk Winter Market, Abisko Sky Station and the magical islands of Lofoten. And each night be sure to pop outside and look up at the stars, in case the aurora are on show. Another year, another dawn, another remarkable experience amongst the temples of Bagan. Myanmar is much more than just temples though, and even the capital of Yangon offers riches to the photographer. I was lucky enough to write a few features on Yangon this year, backed up by my photographic essays of Yangon and the people who make it so charming. It's sparkling wine, but it's so much more. Prosecco has a rich tradition in the King Valley and I've enjoyed seeing this bubbly induglence become better known across the country. I've especially enjoyed working with the families in King Valley to shoot and share the bubbles. 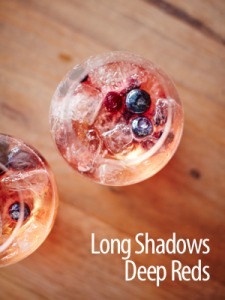 As a special treat this Christmas I teamed up with Iron Chef Shellie to make some "Rubies in Prosecco" jellies, and give away a lovely little 'Print Yo Self' with recipes and pics. Enjoy. I didn't know it at the time, but this was my last photo tour of the Ancient Kingdoms. I've been blessed to enjoy over a decade of travel in Thailan, Laos and Cambodia. I still love it and still encourage people to visit. The winds of change are blowing and I have to let go of some old friends. I hope to see these places again in due course, but for now the world is too big and life too short. Once a year I go to Bhutan and marvel at the peacefulness of a nation. Mountains and monks are just the beginning. Softly softly we explore the charms of the Thunder Dragon. It's a lovely place to enjoy your inner peace and gain a little wisdom. 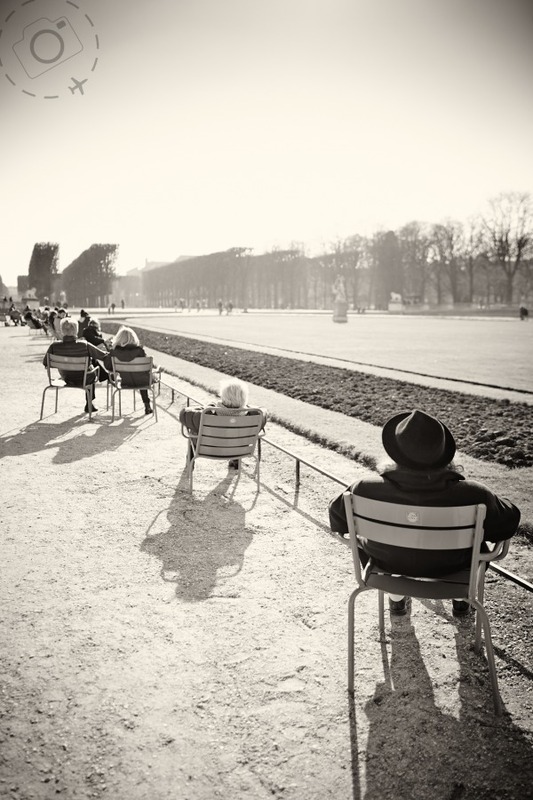 Images from this trip will appear in exhibition in Copenhagen in July 2014. I've spent a bit of time this month shooting things that shoot things. In particular some lovely old Leica cameras at Melbourne's Camera Exchange. The highlight of the month was macarons in New Caledonia, but I can't show you those pics as they're still a secret until they appear in print. Take my word for it, they were delicious and photogenic. This year June was so busy I still haven't got the photos onto my website yet. We had our annual Australian Outback tour in the lovely new Cessna Conquest II, and even got a chance to do a little air-to-air photography over the Flinders Ranges. 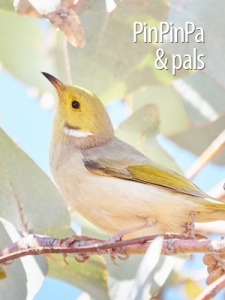 I also put together a big feature for Digital Photography mag on what makes the Flinders so charming for photographers. One of my favourite places to be in the world is North East Victoria, because the people are as lovely as the food & wine. King Valley was on my list for May 2013, a chilly time of year but still beautiful. We caught the last few golden leaves on the vines, on the trees and on the ground. May was also when I had a chance to review the Hasselblad H5D, bringing it together with the charming Lady Penrhyn, a 1944 built De Havilland Dragon Rapide DH89a. 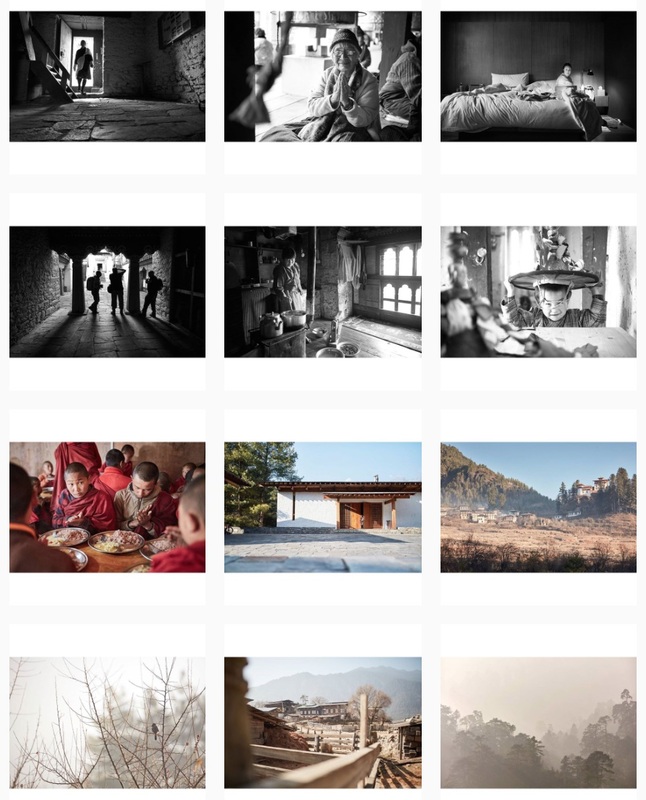 A decade of travel and photography in China has come to it's completion for me and my tours. The Silk Road became my final photography adventure for this country, at least for the time being. The world is an ever changing place and it's time for me to put time into other destinations, some closer to home and some further along the road less travelled. 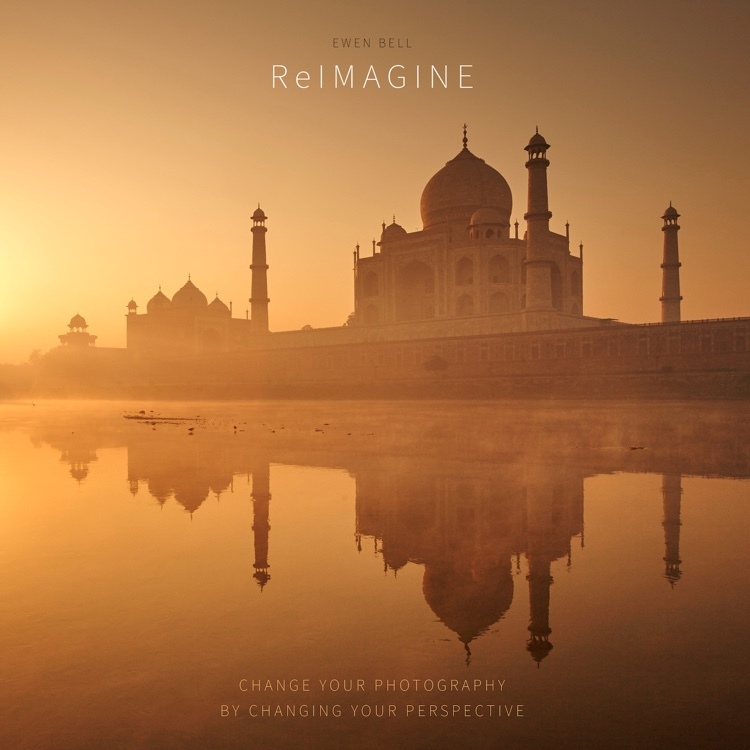 Ian Rolfe is a landscape photographer who has never been to Nepal, until now. Together we lead a group of rather lovely people around some of my favourite sights and highlights of Nepal. The wilds of the Annapurnas, star tails with chortern, sadus in the smoke, markets in Kathmandu and artistis of the Newar caste. Nepal rocks, and so does travelling with Ian. This will prove one of my most memorable journeys. Reindeer and Sami of Sweden were wonderful, but even better with the companionship of photographer Fredrik Broman. If you ever get a chance to join his Aurora Safari Camp in northern Sweden, I highly reccomend it. It's peachy. We finished this journey with some serenely slow landscapes on the islands of Lofoten in Norway. Fab food and inspiring scenery. What could make two weeks in Myanmar even better? Great company and miles of smiles. Sincere thanks to the lovely travellers who made every post a winner as we wandered the lakes, temples, markets, ruins and ox trails of this wonderful country. SO many great photos, but so many good times. You guys rock. Three of my favie places in the world are Thailand, Laos and Cambodia. The people and food are just fabulous, and it turns out that a few lovely hotels only make the overall experience that much better. For photographers the riches of South-East Asia are varied, but the temples, monks and market fresh mornings by the Mekong are definite highlights. My annual journey in China has been a foundation of the photo tours since 2005, and this year I ran the classic Beijing/Xian/Guilin/Shanghai route for the last time. I had some lovely people to share it with and enjoyed my photographs immensely. Every year I take some review gear over and explore familiar territory through new eyes, and this year I stepped back from the professional gear and shot with a Canon 5D MkII with the new Tamron 24-70 lens. You can see a preview of the Digital Photography article below complete with some pretty pics from China. I've been a fan of the Kimberley region ever since John Dyer got me up there to experience the treasures of Faraway Bay, but I've always wondered what it might be like to cruise the coastline instead of just flying in. Thanks to RM Williams I had a chance to photograph the Kimberley Quest II and a thousand kilometres of magnificent coatline. Reefs, crocs, mangroves and archipelagos. I love it, some of Australia's most magnificent scenery. My most recent love is the Great Barrier Reef, and while I'll never be the next Darren Jew I am lucky enough to put together some editorial on the Dwarf Minke Whales and the amazing people who are working to better understand their behaviour. These curious creatures take an interest in us humans, and if you dangle off the end of a drift line with a snorkel the whales will come and check you out. Awesome stuff. One of the best photographic experiences of a lifetime. 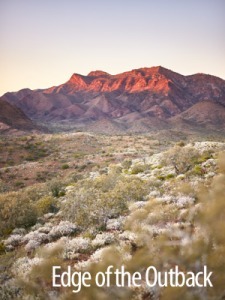 A private plane, an awesome tour leader and a small band of dedicated photographers to explore the Australian Outback. In fact we travelled from coast to coast, starting in Melbourne, traversing the Red Centre, shooting wildlife in the Top End, visiting the Tiwis and shooting day and night in ther Kimberley. I love this trip. I don't shoot weddings, but I have learned great respect for those who do. I followed a husband and wife team from Whitepoint Photography on a full day of wedding action to document their work for DP magazine. It re-affirmed my choice to steer clear of the wedding market and enhanced my appreciation for how hard you have to work to do the job well. It takes a lot of experience and skill to do justice to someone's special day. I've flitted about the margins of Wangaratta for well over a decade, visiting nearby wine regions and sampling the gourmet offerings in the King Valley and beyond. This time I got lucky and scored a commission for 10 days worth of shooting the lifestyle and tempatations of Wangaratta and surrounds. When can I come back please? 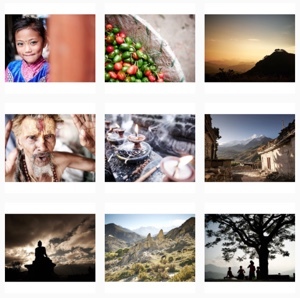 I still cant believe more photographers don't know about Nepal and what it has to offer. Perhaps people still think you need to be a trekking fanatic to get any decent photos, or perhaps it has fallen off the radar for the average photographic traveller. Either way they're missing out, because this is one of the greatest places on earth to immerse yourself in culture. The diversity, warmth and richness of people in Nepal is something truly rare. After four decades of circling the sun I still had not been to the Great Barrier Reef. A few gazillion Japanese has seen it, most people who ride my train line had seen it and for sure about other travel photographer I know has taken photos out there too. So when the chance came along to write up a feature on the reef, in conjunction with a new BBC documentary, I didn't need to be asked twice. Every year we come back to Thailand, Laos and Cambodia to seek new life and light for photographers. This year the ancient charms of Angkor Wat definitely made an impresison on me, but so did the remote villages near Luang Prabang. One of the most exceptional events a photographer can participate in. The professional development and fine art emphasis in Paris for this annual event is remarkable. Inspiring too. It can also be daunting. The monks are lovely, the culture is unique and the photography is inspiring. The open spaces of Bhutan are a real treasure after all these years travelling in Asia, and I always love a country with more temples than politicians. Monks are abundant here, and they dance too. It's still amazing to me how much I enjoy being in China and exploring the photographic treasures of the country. I have a sensational guide, so that really makes all the difference. I love the food, the places and the hidden secrets that my fellow travellers never expect. 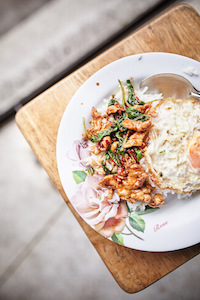 And I love 'Chicken and Rice' :) This year I took along a Leica M9-P instead of my usual Canon gear. An interesting experience for a lazy shooter who loves his autofocus. 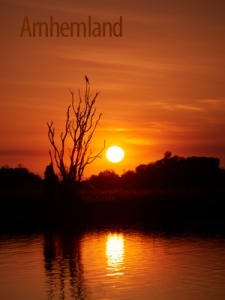 The Ballarat International Foto Biennale is the setting for my most recent exhibition, The Elephant Camp. Images taken from the Golden Triangle Elephant Camp in late last year are on display at Gallery 806. The collection also won the Fringe Prize, a suitable accolade for such majestic creatures that too often find themselves on the fringe of modern cultures. I have always wanted to photograph the polar bears and finally I got a chance thanks to Heritage Expeditions. 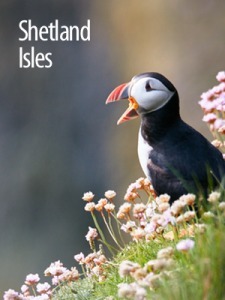 I joined their adventure cruise through the Bering Strait, shooting Puffins and Guillemots along the way, and then trundled across the beaches and tundra of Wrangel Island in search of the bear. We found them, lots of them! The more I spend time in the Australian Outback the more I want to go back. This month I enjoyed a chat with Grenville Turner at an Alice Springs cafe, and I can see why he left Sydney for the Red Centre. Grenville shared some tips on shooting west of Alice, and the photos show the proof of his wisdom. After that I headed up to Arnhemland to enjoy Max Davidson's hospitality, then Bullo River to go flying with Franz Ranacher, and finally across to Broome to enjoy sky-high views of the Dampier Peninsula. The next edition of Digital Photography Magazine is all about Australian Travel, and has a nice red rock on the cover from my recent journey Outback. I love the rock, as most photographers do. The red dust and wide open landscapes of the Outback are genuinely addictive, so I'm going back again before the month is out. And then again after that too. I love it out there! This flying trip of the outback was something different for me, with a faster and bigger aircraft, two lovely pilots to get us up and about and some new destinations to explore through the lens. It's taken nearly as long to process all the images from this journey as it took to complete the journey itself. I have waited a long time for a chance to visit Myanmar, the country formerly known as Burma, and while it was fleeting in the extreme I did have the pleasure to spend a few hours talking to some monks. Their message was clear - "Please come and visit, see our country for yourselves, but travel with the locals instead of with the big package tours." The people of Nepal are very special. With 20 ethnic groups in one small country, the influence of Hinduism from the south, embracing Buddhism from the Tibetan north, and hundreds of wonderful villages nestled into the Himalayas and Annapurnas. The scenery is magical, the Sadus are mystical and the mountains are magnificent. Many years ago I did a brochure shoot for Peregrine Adventures in Vietnam, so it's nice to see so many of those photos turning up in print after all this time. The cover shot is mine, the double page spread inside the cover is mine plus another 15 or more shots through the document. Was a nice surprise when I saw the brochure in a travel agent! 26 days on the Professor Kromov and most of them at sea being tossed about the Southern Ocean. On the way down we visit The Snares, Auckland Islands and spend a few days at Macquarie Island. Soooo many penguins. Then we hit the ice in Antarctica, and the ice is so nice. Adelie Penguins pop up everywhere to say hello and whales lurk between the bergs. There's a unique program running in the far north of Thailand where over 30 elephants are being supported by a couple of five-star resorts. This is a whole new definition on responsible travel, and the message is simple. You want to make a positive impact through travel, then spend a few dollars in the process. We follow the trail of kingdoms in South-East Asia, some long gone and others still strong. Bangkok, Chiang Mai, Luang Prabang and Angkor are our destinations. 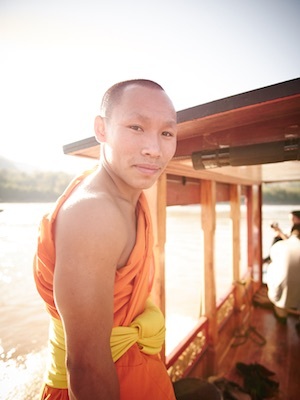 Monks, Mekong and magnificent temples. This is our most comfortable and culinary indulgent photo tour yet. Smoke and Bubbles, no troubles! Photography for Artists is my new workshop experience in the rural setting of East Gippsland, and what a treat. Wombats and wallabies, rosellas and wrens, kookaburras and curajongs. And lots of lovely photos with the help of local artist Gary Yelen and the infinite creativity of the Nowa Nowa community. Shooting images for tourist boards can be a challenge. 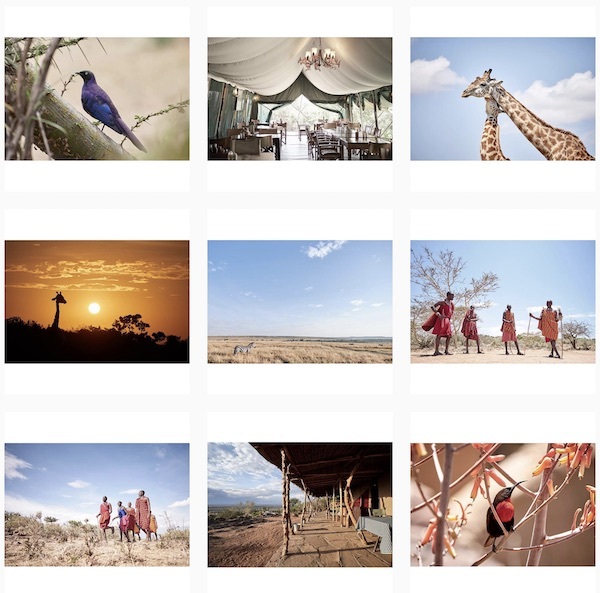 Usually the locations they most need images for are not the most scenic spots, the budgets are nearly non-existant and a lot of procedures have to be satisfied before a shoot gets fully commissioned anyway. The villages project with Tourism Victoria finally reached our final town, Barwon Heads, and we were rewarded with some great weather, lovely people and gorgeous girls to add a summer feel to the collection. 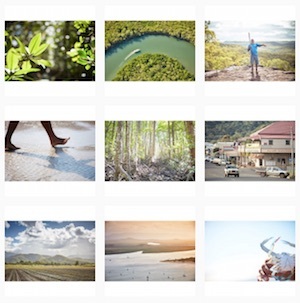 I still get excited about cover shots, be they in an adventure travel brochure, the travel section of a tardy Murdoch tabloid or the wonderfully rewarding Backpacker Essentials. The magazine is put out by YHA and frankly it's got one of the best mix of information and inspiration of any regular mag in the country. This quarter the cover features a very talented travel writer, Shaney Hudson, who helped make my travel in France that little bit more rewarding too. Thanks Shaney, Karena, Janet and all the backpackers who stay at YHA. Every year we wander around China and every year it's a fabulous 14 days. This time we had some new surprises and wonderful assistance. We got some great sunsets in Guilin, clear skies over Beijing and a cracker sunrise in Xitang. You never look closely enough at your own backyard but that's exactly what the lovely folks at Tourism Victoria have asked me to do. Our latest journeys around the villages of Victoria took in Olinda in the Dandenongs and then Sorrento down the peninsula. There's no doubt that commission shoots are hard work with tight deadlines, challenging locations and no control over the fickle Victorian weather. But sometiems a little pressure adds to your experience. While my journalist colleagues were writing notes for the story, I was shooting stills to accompany the words. This is easily one of the least adventurous but most rewarding trips for a travel photographer. Thailand, Laos and Cambodia are the backdrops for sensational photographic inspiration. Temples, monks and mayhem everywhere we go. Fabulous food. I love this part of the world. China is in the middle of great change but is still a haven for photographers and travellers. I look forward to the China photography tour each year for many reasons - the food, the friends and the fabulous photos. There's a double edge to China for me, because it's so familiar that you can overlook its treasures. Taking a fresh group of people every year gives me a fresh insight however. I do love the people who manage public relations for Select Hotels, and when they came up with the idea to run a story on their premier Fiji resort I loved them even more. Nukubati is way off the radar - two planes, one 4WD and a boat ride away from the international airport at Nadi. What a journey, but what a location. A pearl amongst coconuts.